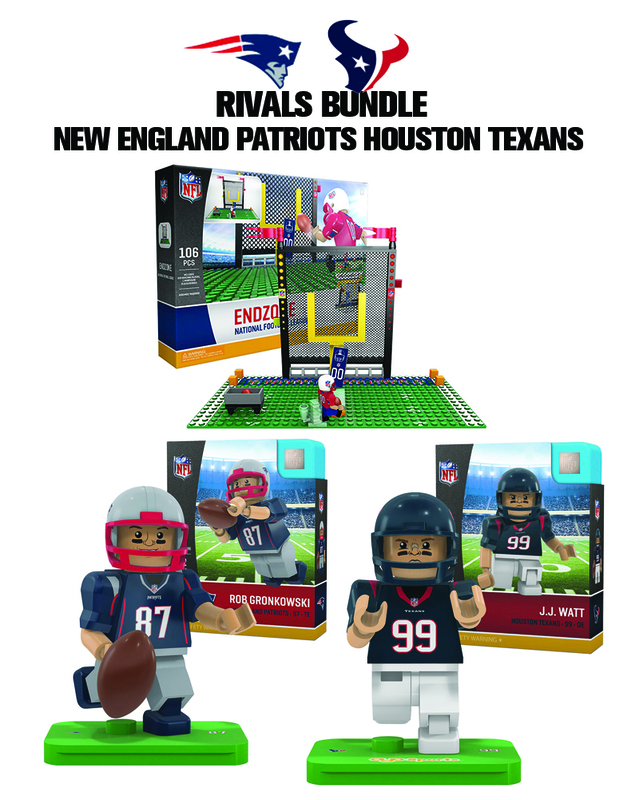 Welcome to our Houston Texans/New England Patriots Rivals Bundle! This bundle offers our customers the biggest savings you'll find at OYO Sports with a 41% discount vs. buying these items individually. 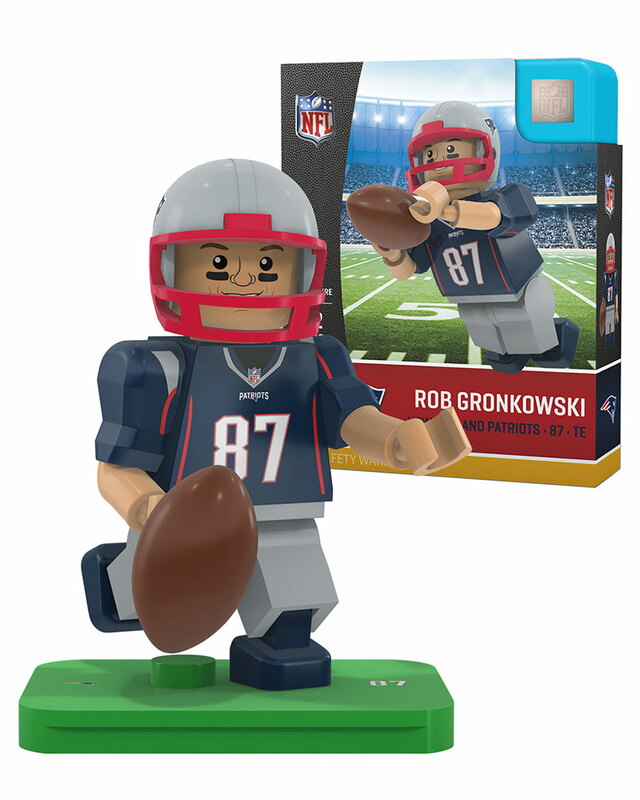 You'll get a J.J. Watt and Rob Gronkowski minifigures and a NFL buildable Endzone Set!. 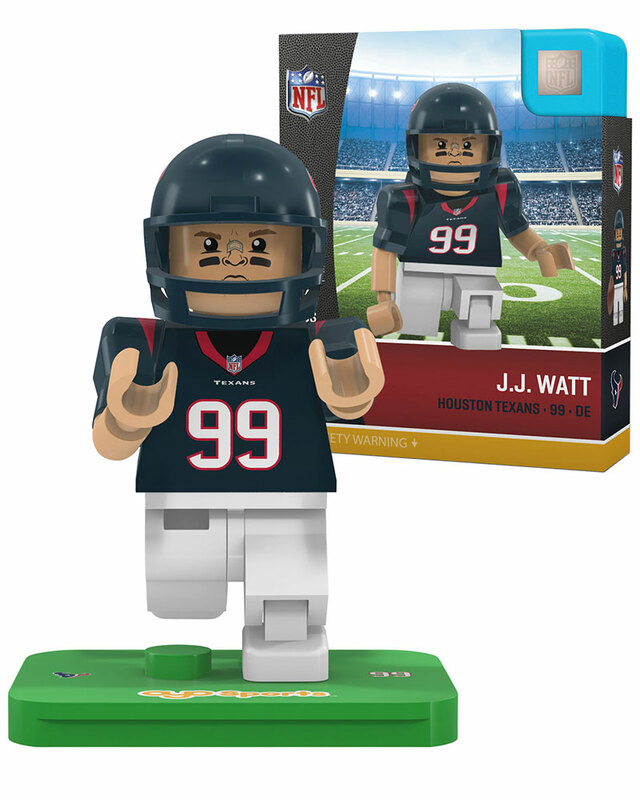 When you bundle at OYO Sports, you save! 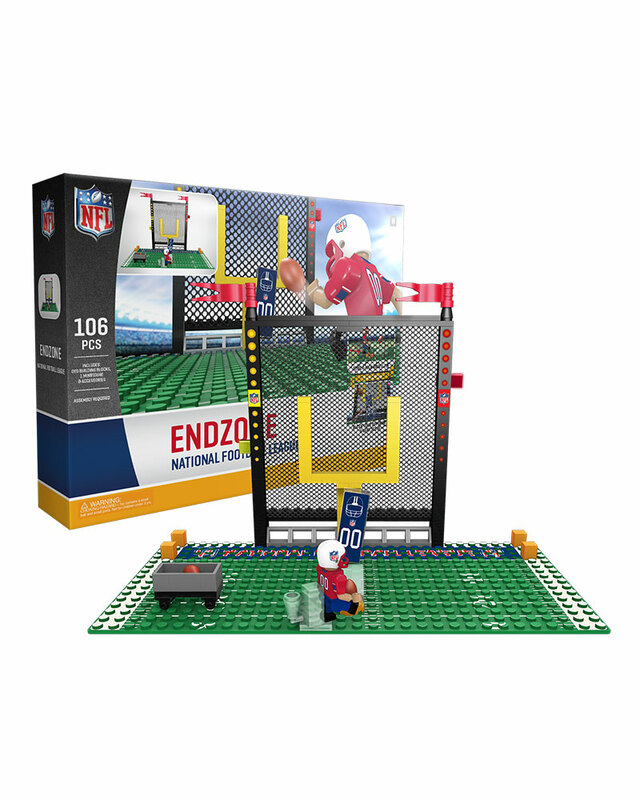 Includes field goal post measuring 3.5¨ H.
Accessories: 2 player minifigures with removeable helmets, referee minifigure with hat, water bottle and football. Dimensions: 5¨ L x 10¨ W.